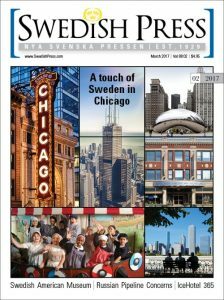 Check out the Museum in the latest Swedish Press issue featuring Chicago. Discover the history of Swedes in Andersonville, meet some of the Swedish organizations in Chicago, and learn how the Swedish American Museum came to be. For the latest news on our fundraising efforts to restore the Andersonville Water Tower, you can read about the online fundraising sale that the Andersonville Chamber of Commerce is organizing in collaboration with Everything But The House on Edgeville Buzz, DNA Info and CBS Chicago.